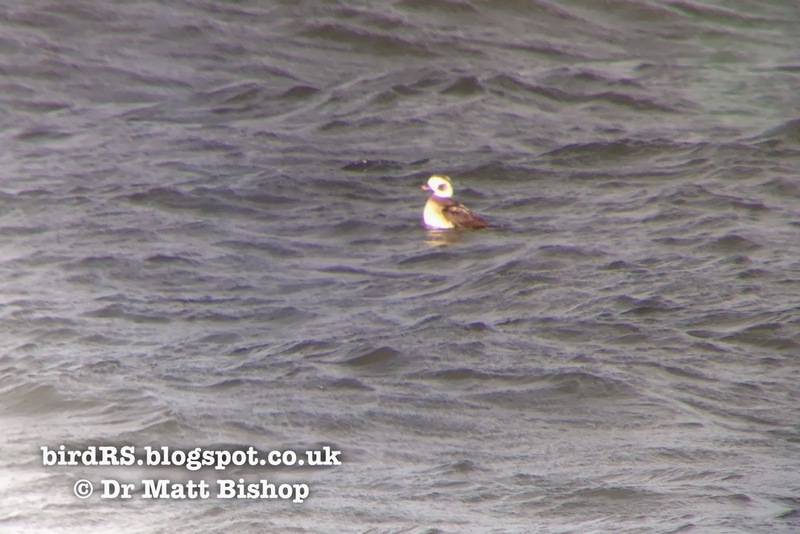 The bitter Westerly wind was slightly more bearable today so I could stand for a little longer on Prestonpans Beach. 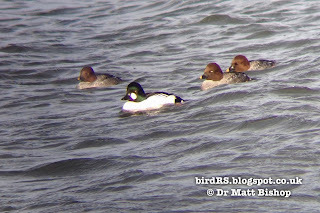 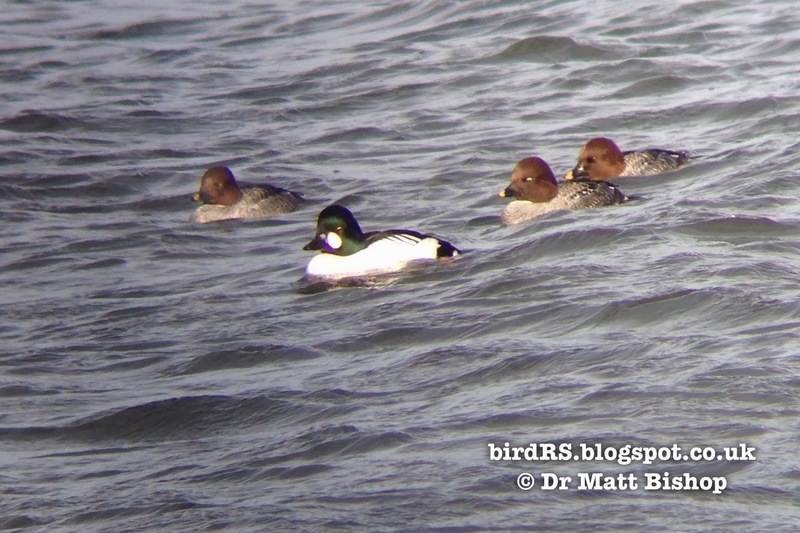 The Goldeneye that I had seen a few days before were still there, along with a few Eider. 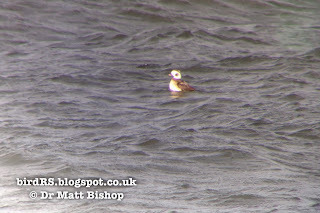 Joining them this time was a lonesome female Long-tailed Duck. 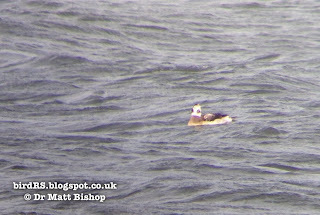 She was swimming a little further out and so my iPhone / scope combination was having to reach a bit too far for a clear photo. 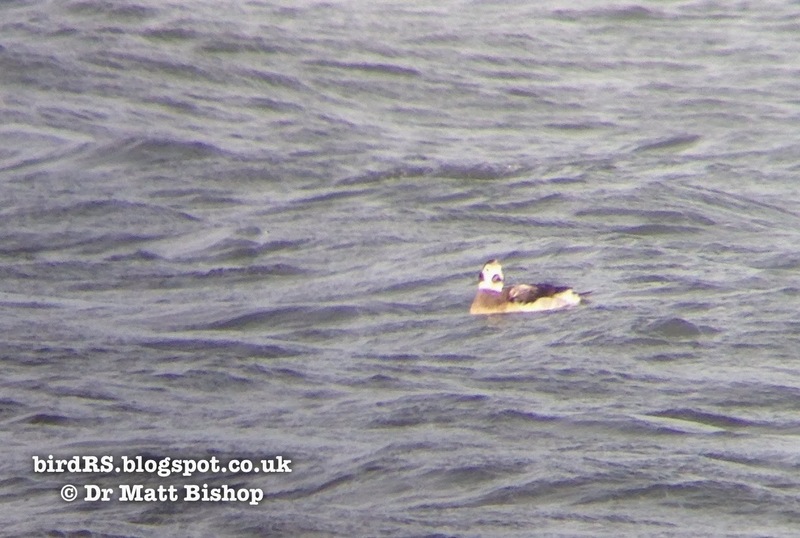 She was diving continuously so was obviously needing to top-up her energy resources.